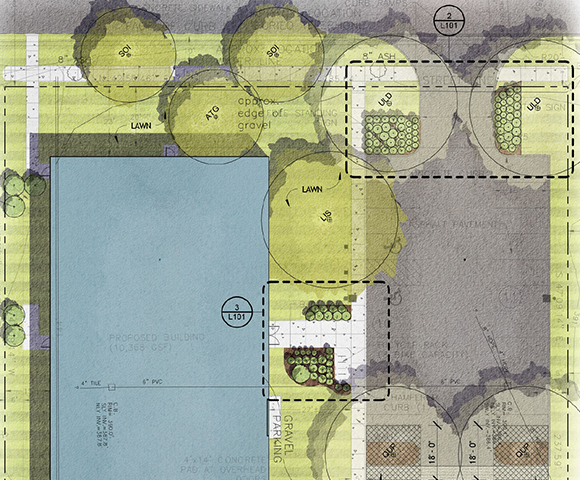 STREAM Collaborative was asked to provide a detailed technical planting plan along with a rendered site plan and perspective views for this new Crossfit and boxing training facility. 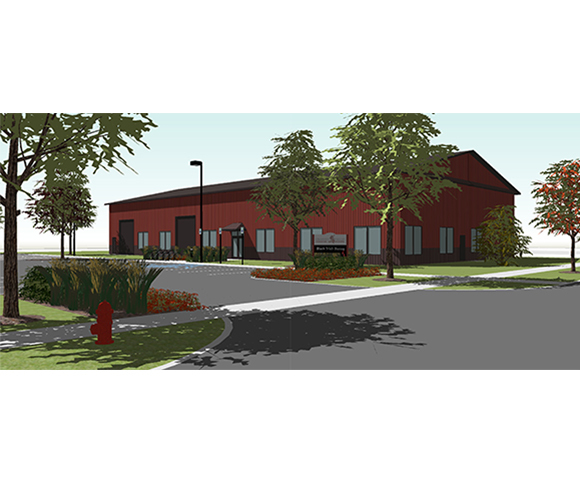 The project was well into the design phase prior to STREAM’s work to enhance this simple metal building. Our work helped the client to satisfy the requirements of the City Planning & Development Board and secure site plan approval.